Celebrating e-commerce businesses in the North is a pretty easy sell, due to the fact that there’s no shortage of talent here. 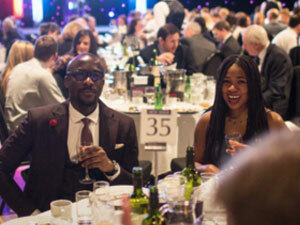 It also happens to be exactly what the Northern E-Commerce Awards (NECAs) are aiming to do – bringing together the top talent in the region for a night of glitz, glamour and online stores; and we’re incredibly proud to be sponsoring them while they do it! This year UKFast will be sponsoring our first ever NECAs – run by Don’t Panic Events and Prolific North – and we couldn’t be happier. Hosting e-commerce sites for many years now has given us unique insights into the journey of an online store, so we know exactly how rewarding it can be – and how challenging. That’s why we have nothing but love for those that rise to that challenge! This is our first year supporting the awards and we’re thrilled to say that we have agreed a headline sponsor deal for three years, so you’ll be seeing more of us! Our CEO Lawrence will be on the judging panel as we celebrate the best that the north has to offer in e-commerce talent. Entries are now open across 23 categories shouting about the web wizards, the savvy suppliers, the top teams and the amazing agencies (and the awards will be better than this alliteration – promise). They’re the North’s biggest celebration of e-commerce success and talent so it’s an incredible opportunity to come, meet the other bright sparks of the e-commerce world – share tips, war stories and a glass of wine or two! – and just have a really lovely evening.